As a fellow hypnotherapist, you have probably noticed that the hypnotherapy industry in Britain has a few obvious problems. Therapists that don’t really understand the market, and a market that doesn’t really understand the therapy. A high turnover of practitioners, evidenced by the ads that come and go each year in the Yellow Pages, and the ever changing array of weird and wacky brochures dotted about. A high burnout rate. A polarity with competent and aware psychotherapists on the one end, and script-readers on the other. People who studied psychotherapy, and people who sold mobile phones. People who do relaxo-therapy, and people who do rapid, effective hypnosis. It’s a minefield. 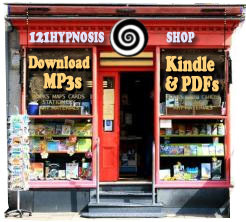 It’s a shame, because there is a lot of good potential at the core of hypnotherapy, but for the most part it is wasted by poor training, people wanting a career change or to make a fast buck, massive egos, and naff, naff marketing. If you think this doesn’t apply to you, then you’re missing the point – it applies to the market, affecting and influencing all of your potential customers. 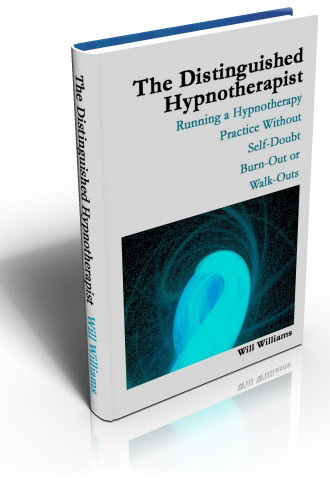 The Distinguished Hypnotherapist is written in a very candid, down-to-earth way – addressing the subtleties that most other books gloss over, answering the “what if” moments that other books miss. Its written from years of experience of handling a varied range of clients, situations and professional decisions. It challenges the reader, stimulates new thought, and will provide enough reframes for you and your practice to get you out of those ruts you may feel from time to time. I’m aware that most hypnotherapists won’t the purchase the labours of my experiences and efforts – because they are notoriously tight-fisted. Ironically, those mind-sets won’t benefit from the section of the book that addresses it. Click "Return to Merchant" after ordering to return to the download page. Not sure whether to purchase? Click here to download a sample chapter for FREE. 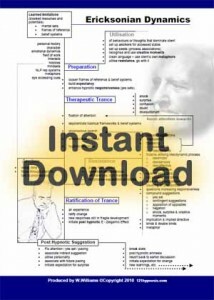 A single sheet showing all the dynamics of Milton Erickson’s approach to subconscious behaviour change and hypnosis. The perfect companion to reading any of his books, especially the ones co-authored with Ernest Rossi. Click here for more. 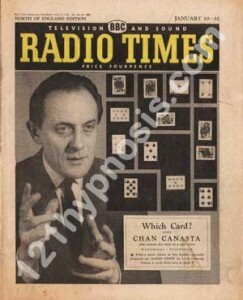 An excellent hi-res image of Chan Canasta, the original influence to Derren Brown. Looks great on the practice wall, and offers a fun talking point (its a small interactive game).